I just love walking along the streets and exploring different areas of a city. 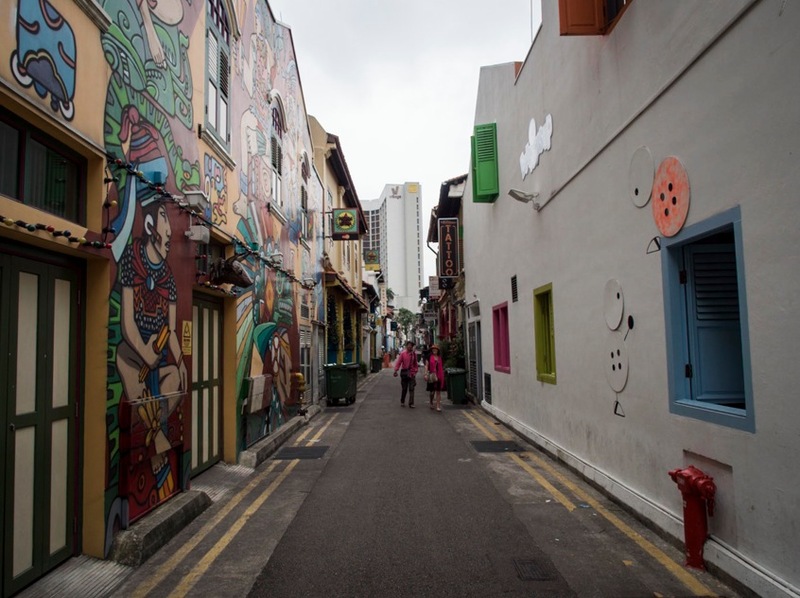 So I went back to the Kampong Glam heritage district (I had been already in August, here’s my previous blog post) and just walked along the streets to look at all those little shops and restaurants. It’s a fantastic little area, and actually so much fun if you can explore it together. So I was lucky that I could meet with Anja from the CurlyTraveller. We meet at Artistry, a fun little cafe that was set up by photographer Marcel Heijnen and serves coffee brewed from locally roasted Liberty beans. It was nice meeting Anja and learning about her travels through Asia, her love for quirky artwork and colorful fashion. We had a great chat and then walked around the area to look at some murals. 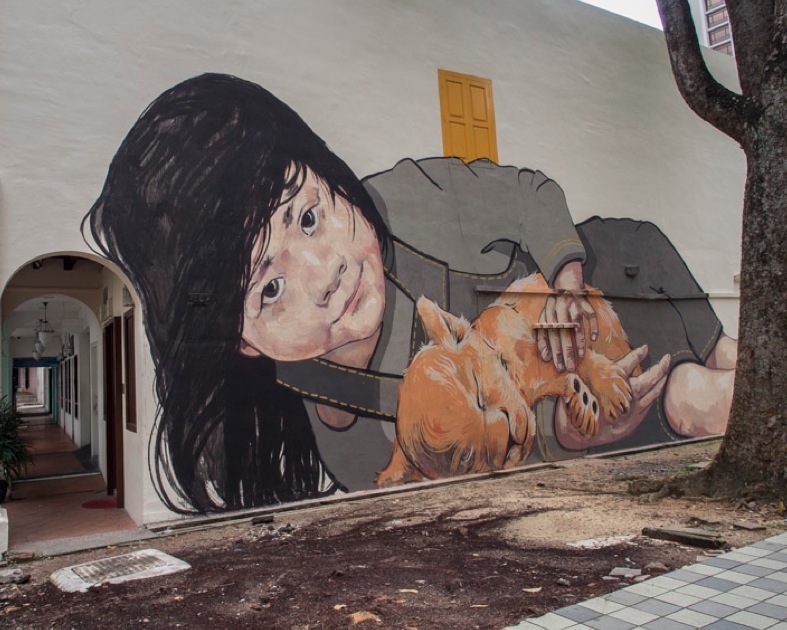 Anja always takes pictures of murals wherever she travels, for example here are murals in Penang and here are some murals under a bridge in Singapore. 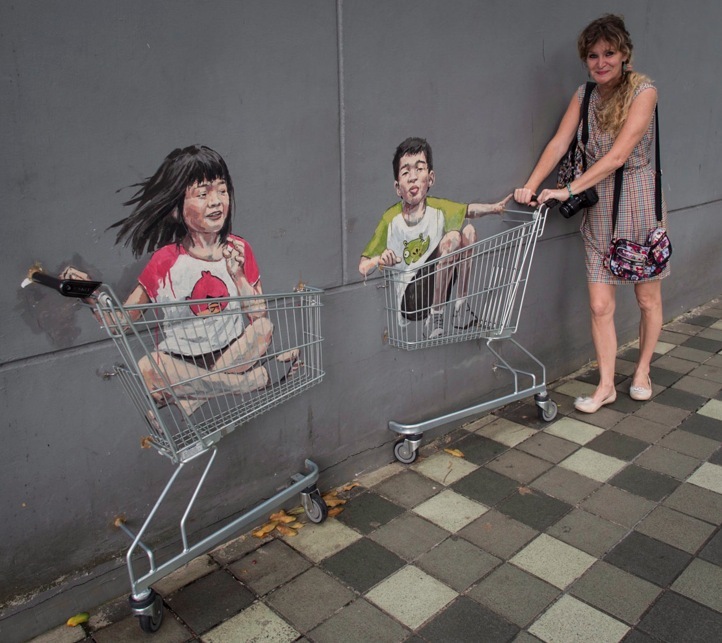 Second one, a girl and a boy on shopping carts (also by Ernest Zacharevic) and Anja is interacting with it nicely – that’s the fun part that some murals are not just painted on the walls, but actually interactive! 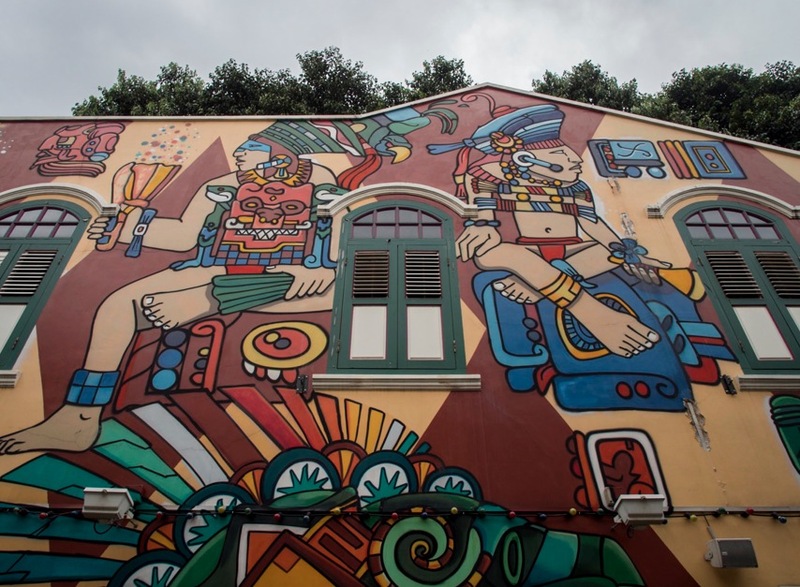 There are several more murals around Arab Street – but painted by different artists. From whom? I don’t know. Anyone who knows, please leave me a comment. Thanks for the mention and the links, Ruth! I enjoyed our little talk and walk too. 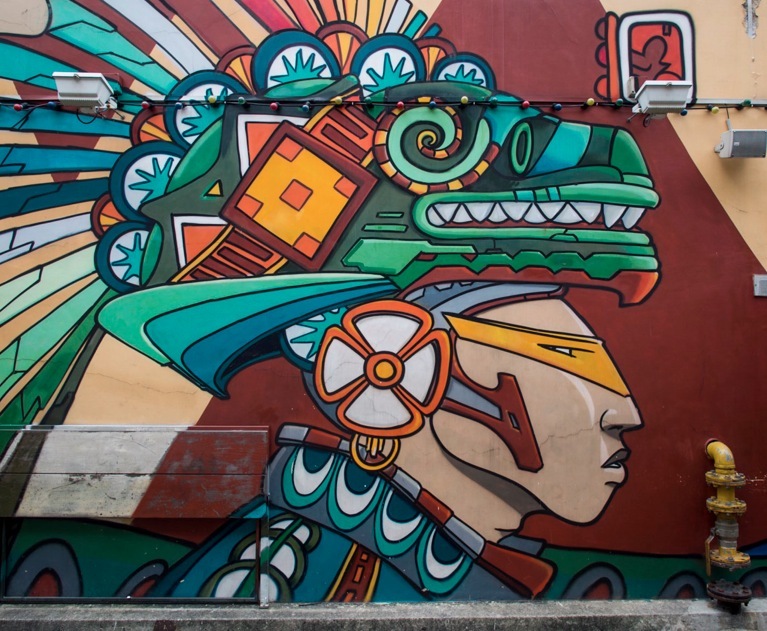 My post about those murals and our encounter has yet to appear;-). Haha – glad that yours is still in the making. I was worried that it took me that long to write it up!